After seeing a photo of herself from Christmas 2013, Julie decided she wanted to do something to get healthy and lose weight. After 3 rounds of 21 Day Fix Julie had lost 38 lbs! 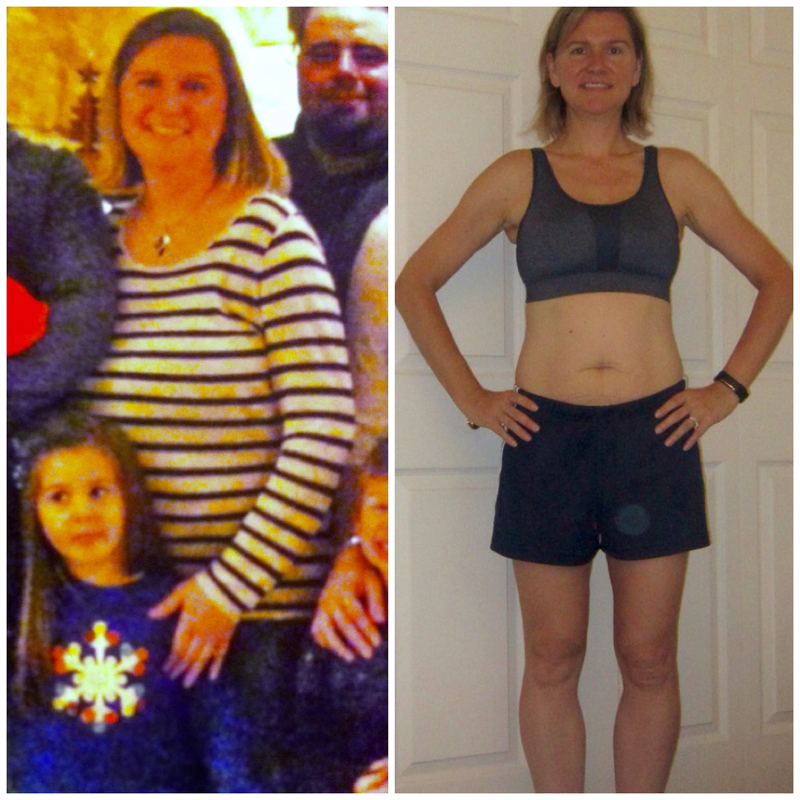 She continues her health and fitness journey by drinking Shakeology daily, trying out other Beachbody programs (like PiYo) and always returning to her “tried and true” 21 Day Fix. Check out her transformation below. 21 Day Fix is a nutrition and fitness program that makes losing weight so simple, anyone can do it. Easy-to-follow portion control and 30-minute workouts take the guesswork out of losing weight to help you see results fast – some lost up to 15 lbs in 21 days! It’s simple, it’s fast, and it works. If you’re ready to get serious, 21 Day Fix can help you lose the weight. Julie is one of our awesome coach teammates, and she took a moment to answer some questions about her experience with 21 Day Fix. What made you choose 21 Day Fix? Michelle (one of our team’s Diamond coaches) first told me about it, and suggested I give it a try since I am a working mom with very little free time. The program was a perfect fit for me with the 30 minute workouts, and carefully planned meals. What kept you motivated to do 3 rounds (and counting)? The steady weigh loss and increased energy kept me going. People started commenting on how I looked, and it made me realize that my hard work was paying off. What is your favorite workout in the program? I love Dirty 30! It’s my favorite because it hits muscle groups from all over the body. Was there ever a time you felt completely discouraged while going through the 21 days? For me, day 3 was the hardest – my muscles were sore, and I really wanted cake! I was having a ‘moment’ and my husband looked at me and said, “Fine – just quit.” That was all it took to get me back on track. Any words of advice for someone starting their first round of 21 Day Fix? FULLY commit to your first 21 days, and you’ll WANT to do more rounds! Have accountability everywhere – at home, at work, among friends… EVERYWHERE! If you are interested in finding out more about the 21 Day Fix click here, or message us and we will send your more information to get you started right. Julie, it is an honor to share your amazing story. I am so inspired and motivated by your hard work and dedication 🙂 so glad we are teammates!